The Trust for Public Land (TPL) is a national non-profit organization with a mission of ‘protecting land for people’. TPL’s work started in Hawaii in 1979 on the Big Island, with the protection of approximately 279 acres of Volcano National Park. To date, TPL has helped protect over 36,000 acres throughout Hawaii, including projects on every major island. Teaming up with the North Shore Community Land Trust (NSCLT) in 2008, TPL also played a critical role in the protection of Sunset Ranch. The local TPL staff assisted us with all elements of the fundraising process, from application processing to site visits to presentations to meeting after meeting after meeting. Their involvement was invaluable and we simply could not have completed the project without their assistance and support. 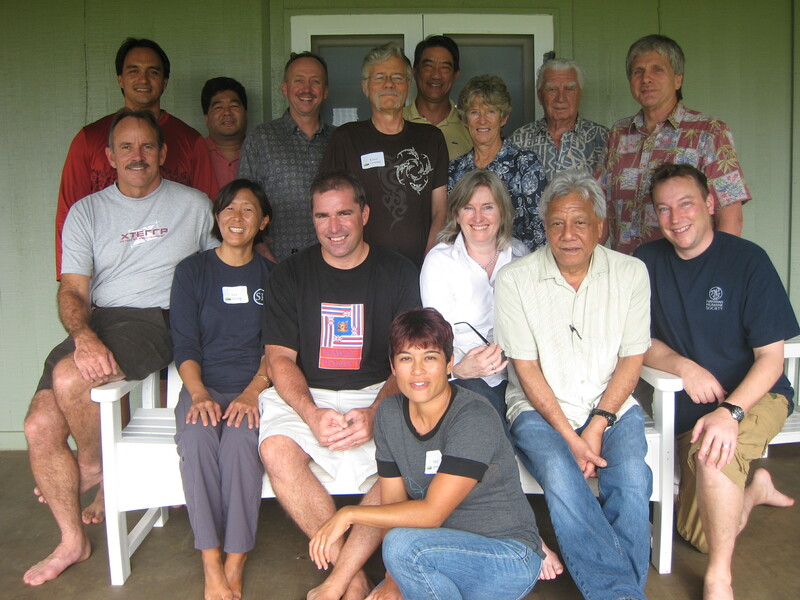 Similar to the NSCLT, TPL has played, and continues to play, a critical role in the protection of land on Oahu’s North Shore. A couple of notable TPL land conservation successess near Sunset Ranch include: (i) Pupukea-Paumalu (~1129 acres north of Sunset Ranch), a property that was potentially subject to significant commercial and residential development; and (ii) Waimea Valley (~1875 acres south of Sunset Ranch), a culturally significant parcel also threatened by development. Currently, TPL and the NSCLT are working together to protect over 400 acres near Turtle Bay, referred to as: Turtle Bay Mauka Agricultural Lands. The aforementioned land conservation projects are just a few examples of TPL’s efforts in Hawaii. Thanks to TPL and other organizations like the NSCLT, all of this important land has been, or is in the process of being, permanently protected. If you’re interseted in meeting the local TPL team, come join us at Sunset Ranch for the NSCLT benefit on Saturday, November 5, 2011 at 5:00 pm. You can buy tickets here. For more information on TPL, contact their local Hawaii office at (808)524-8560. We also recommend that you visit their web-site at TPL Hawaii. The time for land conservation in Hawaii is now. Get involved. Mahalo!